Hello, my name is Dr. Michael J. Gottfried and I’d like to thank you in advance for taking your time to peruse my website. I know that it will be of value to you. 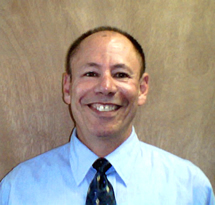 I have over 30 years of experience as a Chiropractor and Holistic Healer. When I was in my teens and early 20’s, I had a significant digestive problem, which many times had me doubled over on the floor in pain. Like many of you, I sought treatment with my MD, who gave me prescription and over the counter medications. I wasn’t getting better and in looking ahead I saw a future filled with pain, more medication and possible surgery.Therefore, I started changing my diet towards more vegetarian offerings and exercising differently with Yoga and Tai Chi. I noticed that as I initiated these lifestyle changes, managing my stress more effectively, I had less pain and need for meds. In fact it’s been 25 years, since I have had a need for drugs. 2010 - 2019 Dr. Michael Gottfried. All Rights Reserved.